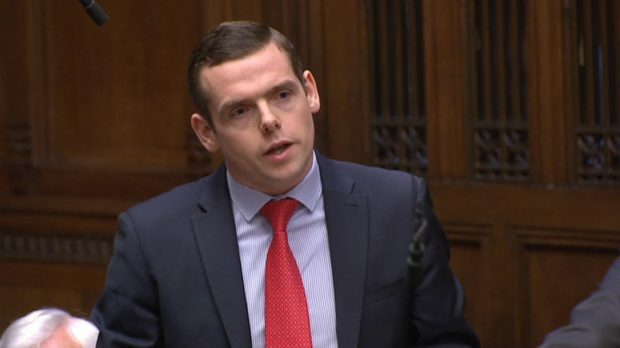 Mr Ross attacked Nicola Sturgeon’s administration as his Tory colleagues used a Commons debate to criticise the delays in transferring welfare powers from Westminster to Holyrood. In a Westminster Hall debate, Mr Ross asked SNP MPs how it had performed when trying to deliver for Scotland. Mr Ross was speaking in a debate led by his colleague John Lamont, who said the transfer would not be complete until 2024, nine years after the legislation was introduced. The Berwickshire, Roxburghs and Selkirk MP criticised SNP ministers for not taking on severe disablement allowance, leaving it under Department for Work and Pensions control “indefinitely”. Neil Gray, SNP MP for Airdrie and Shotts, said the Scottish Government was setting a “clear path” for a benefits system based on “dignity and respect”. Mr Gray said Scots did not have to pay the bedroom tax and received council tax benefit.